We are your Summer Camp Solution. 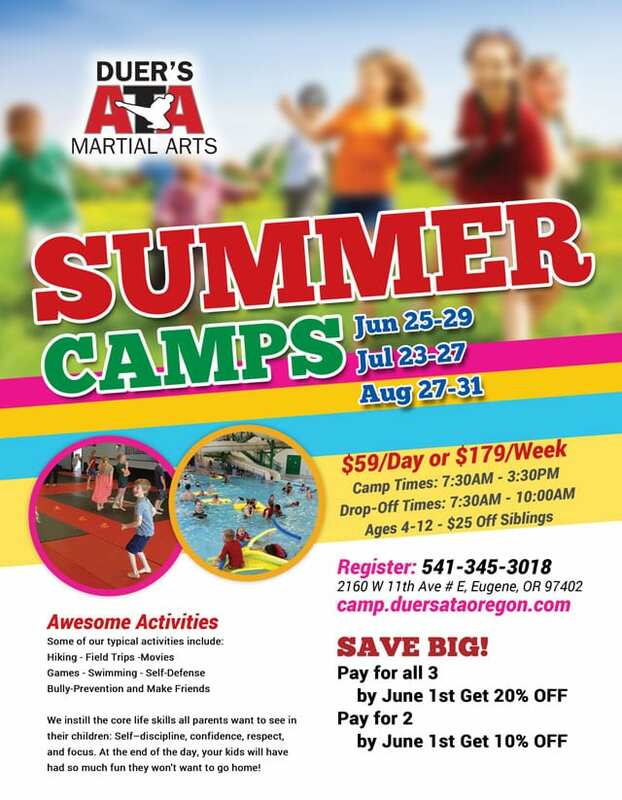 Have your child join us for a week of fun, safety, and martial arts! Your child will learn to participate in a positive way with others while challenging themselves mentally and physically in the martial arts. We will cover child safety against strangers and deal with the real issues of bullies. Duer’s ATA Martial Arts is committed to building character in our youth and teach them the tools to be successful. Our camps will keep your child active throughout the day and energized by the knowledge they learn. Call today to reserve your spot! Space is Limited. Allergies? Please let us know.